For one day only, don’t think of Amsterdam in terms of Golden Age, historical canals and Rembrandt’s old stomping ground. 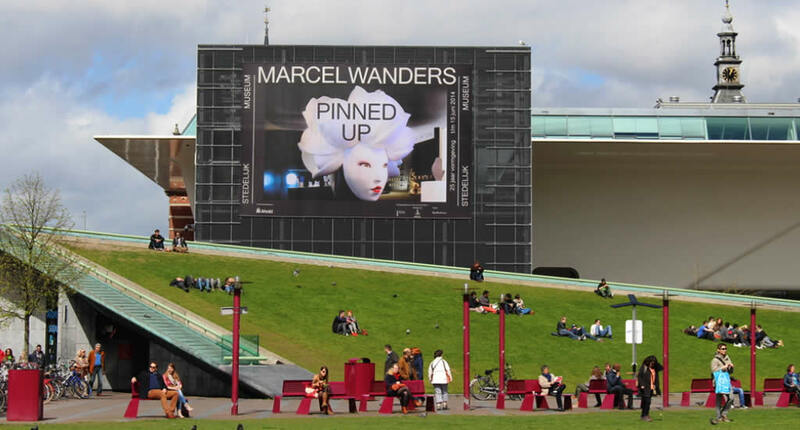 For just one day during your visit think about contemporary art in Amsterdam. 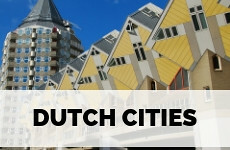 Discover all about Dutch Design, modern architecture, street art and groundbreaking museums. It’s easy to get lost in Golden Age Amsterdam. The leaning historical buildings along the canals, the Rijksmuseum celebrating the grand old masters of The Netherlands, like Vermeer and Rembrandt. But Amsterdam has a modern face too and it’s not even that difficult to see it. Here’s how you discover contemporary Amsterdam. 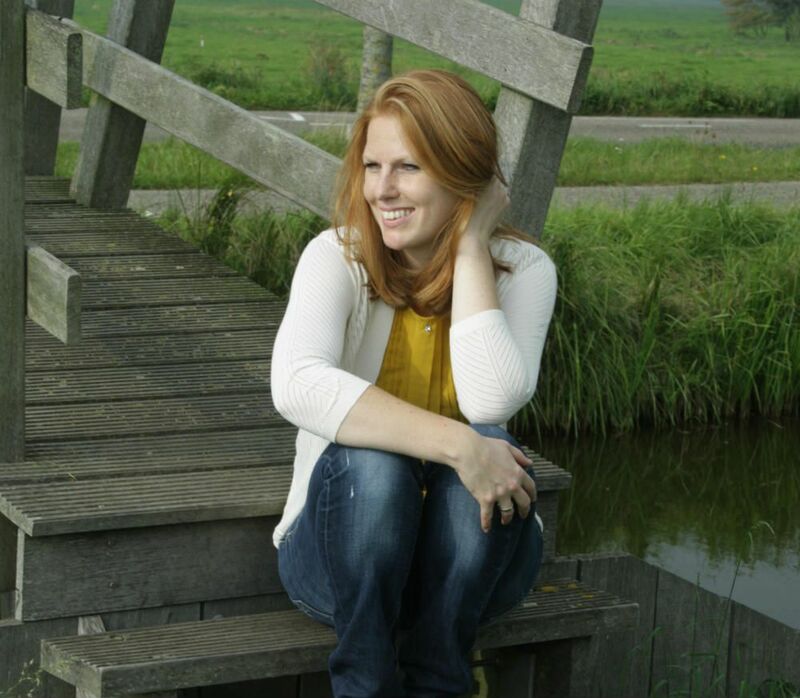 Of course, you’d like to visit The Rijksmuseum during your visit to Amsterdam. But there’s something to say for visiting lesser well-known museums that show off some amazing contemporary art. You will never have to wait in line to visit these museums, you’ll be surrounded by mostly locals and you will get to see a side of Amsterdam that hardly any tourist gets to see. If you’re after modern art? 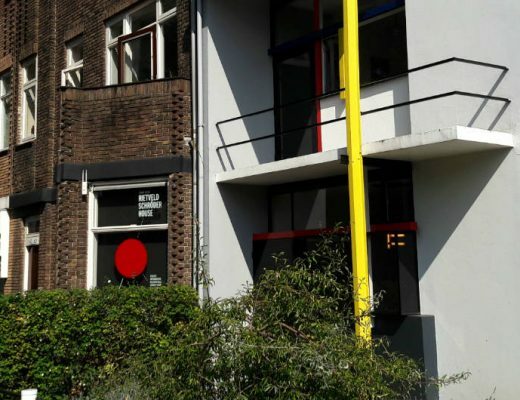 Don’t skip these museums in Amsterdam. Stedelijk Museum is actually near Rijksmuseum and Van Gogh Museum, but for ‘Het Stedelijk’ (as locals call it) you hardly ever have to queue. And that’s due to it being lesser known, not because of the contemporary collection, because that is excellent. The building used to be a bank and was restructured by Rem Koolhaas. The collection features Van Gogh, Warhol, Rothko and Picasso. Though FOAM is famous as Amsterdam’s most important photography museum and has featured works by Anton Corbijn, Alex Prager and Diane Arbus, FOAM is actually about much more than just photography. It’s also to go for speeches and lectures. On Thursday night you can take a free guided tour through the museum. Not too far from Rijksmuseum and Van Gogh Museum is the mansion that currently houses The Moco Museum, where currently 50 works by street art legend Banksy are being shown. 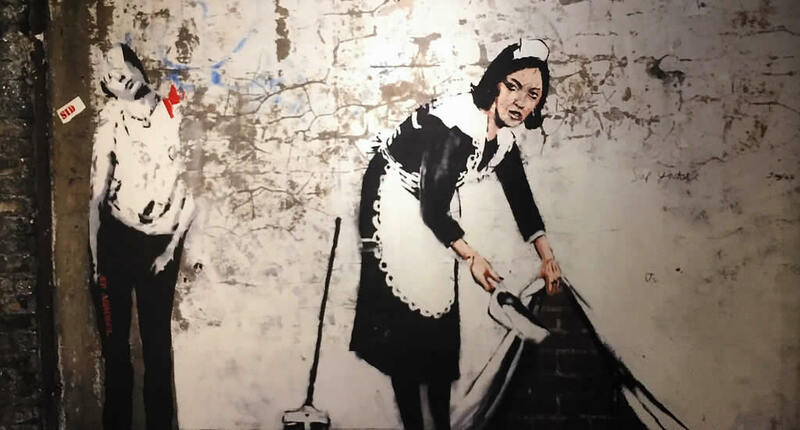 The Banksy exhibit is on until January 2019, but the other temporary exhibits, showcasing works by other street artists, are also worth your time. 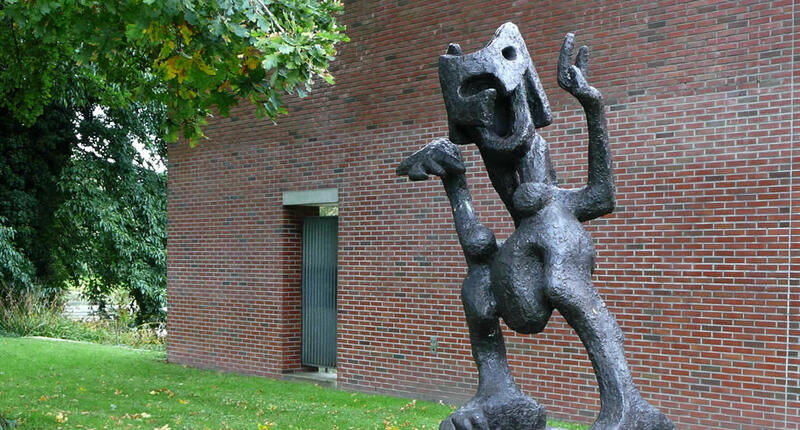 There isn’t an art movement as Dutch as the Cobra Art Movement. The movement started after World War II and is characterised by bold colours and signs that everyone in the world should be able to ‘read’. 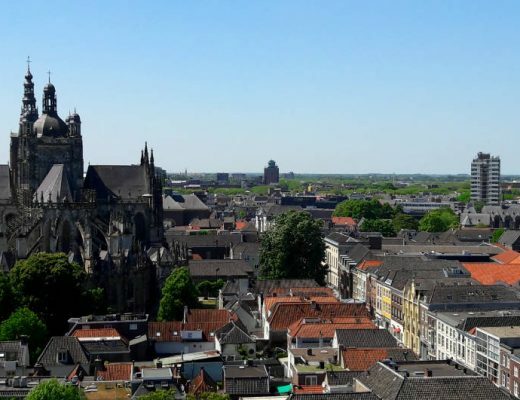 The museum is set outside the city centre, a great excuse to escape the crowds, and was designed by Dutch architect Wim Quist. The collections, which contains works by Karel Appel and Corneille, as well as the temporary exhibits are excellent. 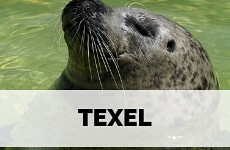 Dutch design is all about minimalism, a sense of humour and innovation. 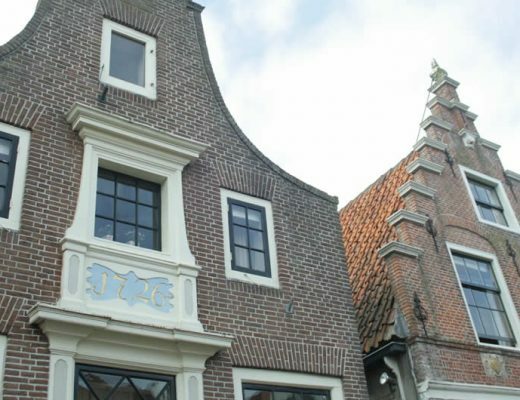 The first time the term Dutch Design was used, was in 1993 when Dutch designers drew the attention of all the journalist attending a trade fair in Milan. 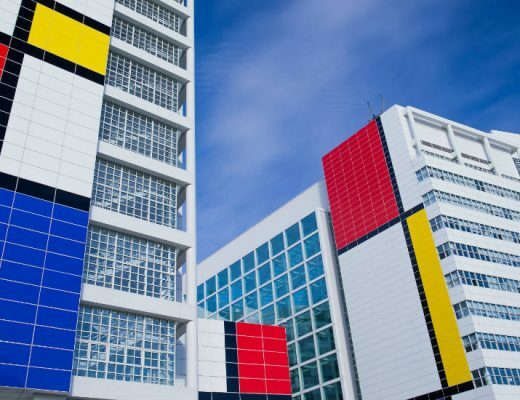 Dutch design is often, but not always, inspired by De Stijl, which is also minimal and only uses primary colours. Famous designers are Marcel Wander and Piet Hein Eek. In Amsterdam follow the free Dutch Design tour to see the best art, shops, galleries and hotel that celebrate Dutch Design. The walk starts at Moooi showroom, brand store by Marcel Wanders, and ends at the iconic Stedelijk Museum, which not only hosts the most groundbreaking contemporary art to be found in The Netherlands but is also designed by Dutch top architect Rem Koolhaas. 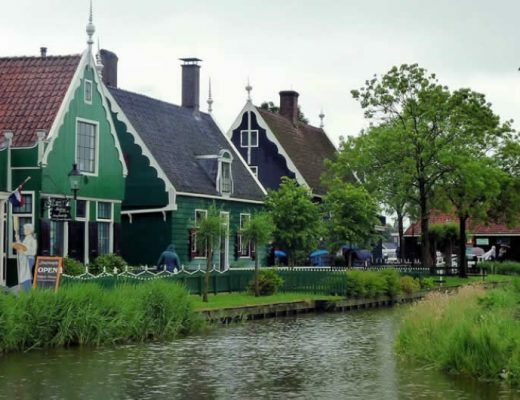 Amsterdam is generally associated with the large gabled canal houses which were so typical for the Golden Age, though those who’ll dare to look close enough, also find lots of examples of modern architecture in Amsterdam, very unconventional and intriguing. 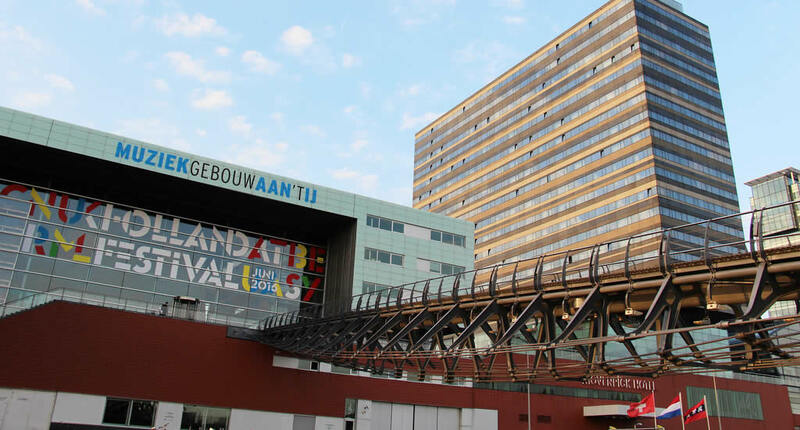 The most famous one is EYE, which houses a cinema and film institute, but is also an excellent place for lunch and drinks as it provides a great view over the Amsterdam skyline. 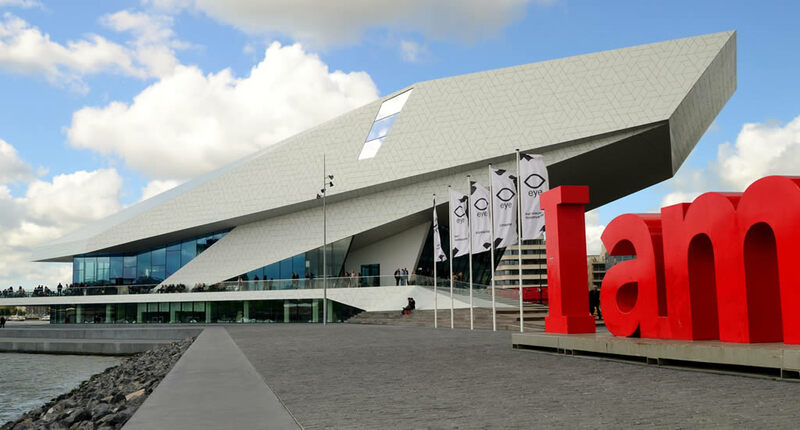 From EYE you will be able to spot Muziekgebouw aan ‘t IJ, Amsterdam’s classical music venue along the IJ river. The concert halls are designed to host all kinds of performances, from small and intimate shows to large dance festivals. IJ river has proven to be the particular spot for modern architecture in Amsterdam, as it also houses the floating restaurant REM, which was actually built in Ireland in the 1960’s before towing it to the North Sea. Now, the platform has moved to Amsterdam Houthavens where it now is a popular spot for dinner. 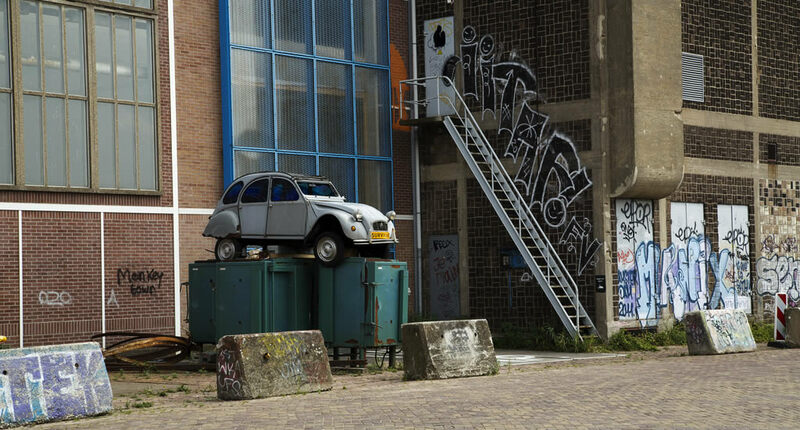 Seeing street art in Amsterdam is mostly about paying attention. I know this sounds a little obvious. But really, street art in Amsterdam is all around. If you don’t have time to explore Amsterdam beyond the city centre, keep an eye out in Jordaan, Spuistraat, Vinkenstraat and Prinsengracht, though you will see more and better murals if you venture further afield, like Amsterdam Oost and NDSM where you’ll be able to spot work by Rimon ­Guimarães, Paulo Consentino, I am Eelco and Kobra. 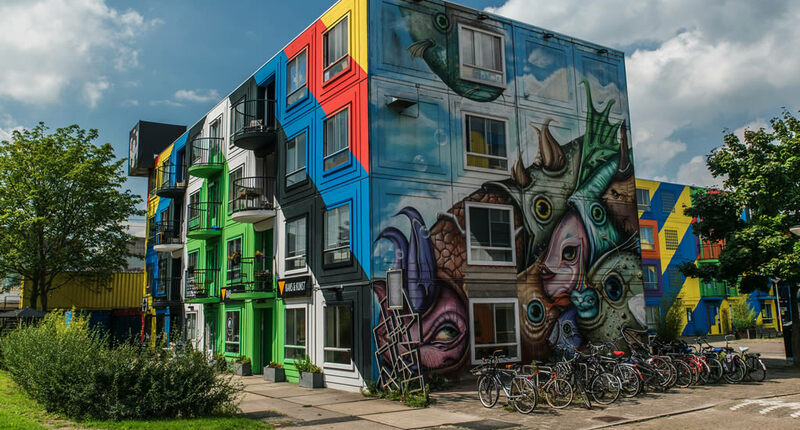 If you have the time and you’d like to visit some lesser-known neighbourhoods in Amsterdam, whilst seeing some exceptional murals, I highly recommend joining this street art walking tour, or be like a Dutchie and join this street art cycling tour. 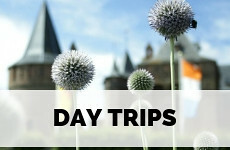 Make sure you have your iAmsterdam City Card before joining these tours, so you’ll be able to go on public transport for free. A shipyard along the IJ riverbanks turned into an alternative cultural hotspot. NDSM Wharf is my favourite go-to spot in Amsterdam. 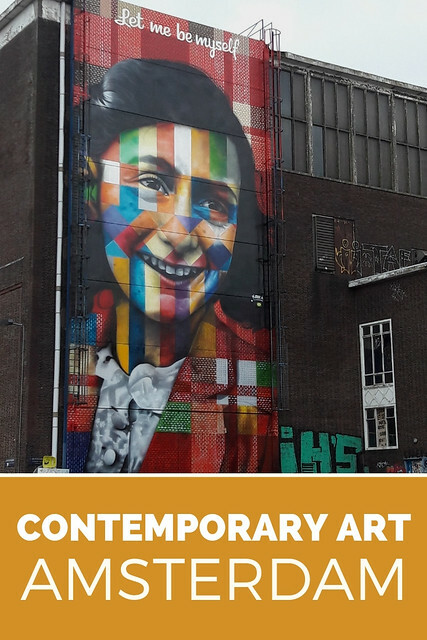 Within a couple of years, it has turned into a fabulous community and every time I go there new bars, galleries and shops have popped up, though NDSM has been able to remain rugged, colourful and alternative frayed image. The wharf, which is basically an island, hosts dozens of festivals, contemporary art exhibits and parties throughout the year. 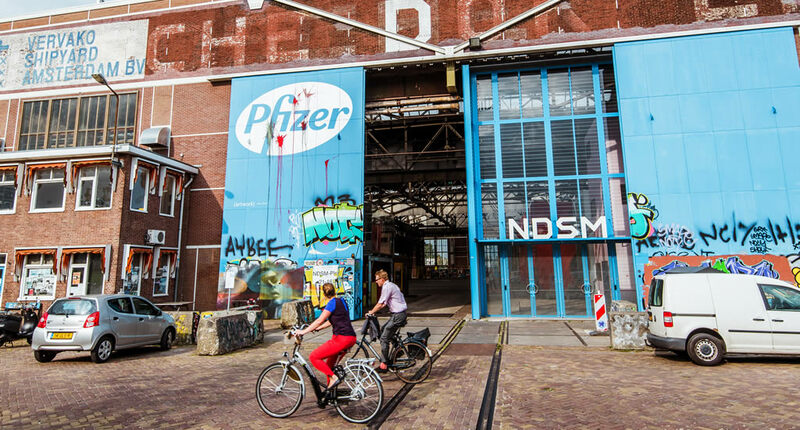 You can read more about NDSM in my article about the undiscovered north of Amsterdam. It’s quite cheap to fly to Amsterdam. Check out cheap flights to Amsterdam. Get yourself an iAmsterdam City Card to go on public transport for free, skip lines and get sweet deals on many sights in the city. 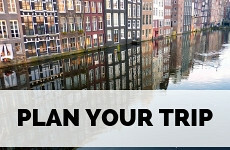 Plan your trip using my complete Alternative city guide Amsterdam. Got some time to spare? 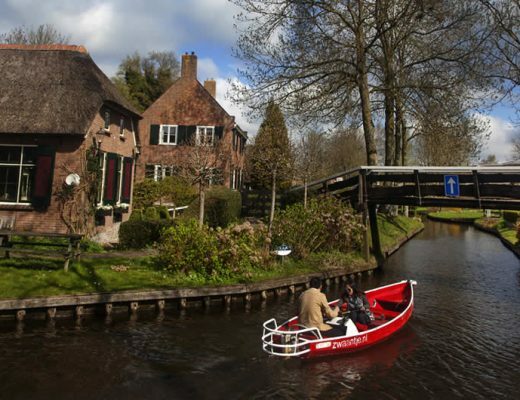 Check out these 4 stunning villages near Amsterdam. You only need about half a day to visit them. So much fun art! I especially like the building that’s painted in a design of primary colors. I hope to get back to Amsterdam and find some of this art. We missed the big I AM Amsterdam blocks, too! Oh, the IAmsterdam signs will be gone soon! The city feels they symbolise individualism too much, so they are thinking of something else. Thanks for the tour of modern art and architecture in Amsterdam. I didn’t expect so much of it. 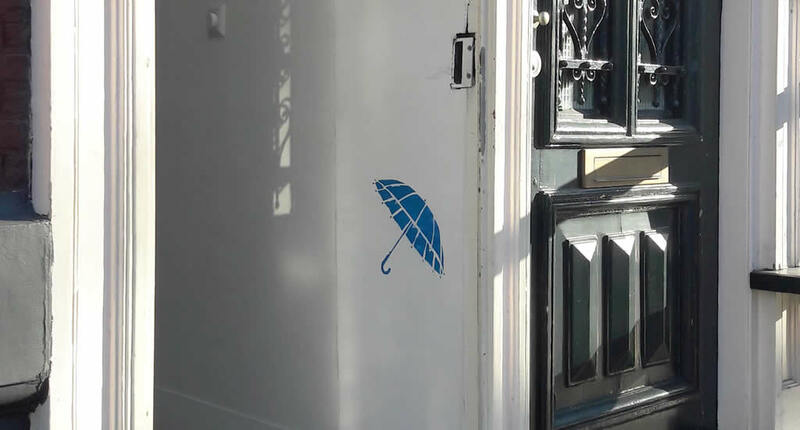 I love your photos of the buildings filled with street art; so different than what I expected of Amsterdam.